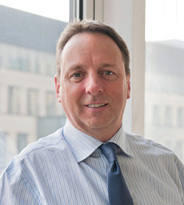 Colin Rowland has served as Apptio’s VP of EMEA since 2011. Colin oversees sales and operations across the region, helping organizations implement Apptio’s platform to make better decisions regarding their IT spend and more effectively manage the business of IT. He has helped establish a direct network of leading CIO's, expanding their usage and knowledge of Technology Business Management through the TBM Council and Apptio. 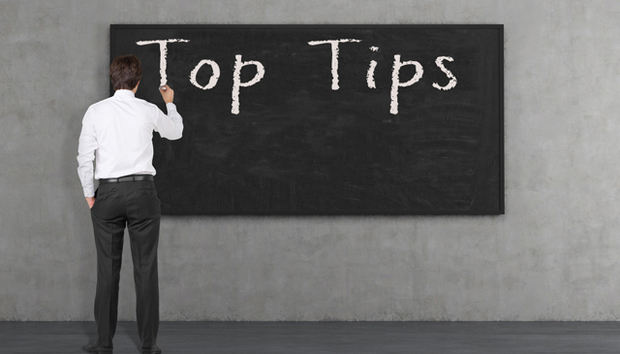 Backed in over 15 years of IT expertise, Colin shares 5 tops tips on how CIOs should talk to CFOs. CFOs today are facing a wide range of challenges, including measuring the value of the services IT is providing to the business. Most are anxious that their company is spending billions on IT with limited visibility into exactly how that money is being spent and how accurate their forecasting, planning, and budgeting is. They wonder how those factors compare to industry peers, if the money is being spent efficiently, and how changes to individual IT costs affect the business. These are the driving forces behind CFOs’ increased focus on IT spending. But how do CIOs get CFOs to have a conversation about value and not just costs? The relationship between CFOs and CIOs continues to evolve as an increasing number of CIOs today report directly to the CFO. By partnering with the CIO rather than simply managing them, CFOs gain invaluable insight into the importance of IT and the strategic role it plays in creating business value. By making all of the costs of running IT transparent, CFOs and CIOs can change the way business units consume IT resources, drive down total enterprise IT costs and focus on IT spending that delivers real business value. 1. Align initiatives to business strategies. It is critical to position technology cost value and investment asks in the context of the business strategies. When talking to the CFO, it is important to explain what the business is trying to achieve and what technology capabilities are needed in order to reach these goals. This demonstrates a much more clear case and need for investment, as well as shows that the company is investing in technology to drive business outcomes, not just in technology for technology sake. 2. Create a culture of transparency. Cost transparency provides visibility into the true costs and cost drivers of IT services. When the CFO is able to gain a clear understanding of unit cost drivers, strengthened by powerful data analytics, they can push out cost inefficiencies and make cost optimization a continuous and organization-wide effort. 3. Communicate value in addition to cost. A TBM solution shows where IT money is going and how much initiatives truly costs. When the cost and value of IT are clearly communicated from CIO to CFO, IT can run like a transparent business that provides real-time reports and insights. TBM solutions provide a framework for reporting the consumption, cost, and value of IT services, empowering the CFO to make decisions based on the value and consumptions of these services. 4. Create a collaborative and streamlined budgeting, forecasting and planning process. A solution like TBM allows CIOs to authentically partner with CFOs on forecasting, budgeting and planning. Together, CIOs and CFOs can leverage a single system of record specifically designed for IT, create a collaborative and streamlined process, and standardize workflow processes. Inefficiencies in today’s static spreadsheets are then reduced, helping reduce the time and labor in the overall budgeting and planning process. When the CFO is confident in the annual cost to deploy and maintain IT services, a significant funding and investment challenge can be eliminated. 5. Develop a common language between the business, finance and IT Department. CIOs and CFOs do not traditionally speak the same language. It is critical to communicate in a way that the CFO understands. The most effective way to do this is by showing the value IT will provide, the strategies that will lead to this value, and the capabilities required to make it happen. In the modern enterprise organization, CIOs need to be able to clearly communicate their agenda and needs to the CFO in a way the CFO cares about in order to properly manage cost, quality, and value of their IT services. Once the CIO and CFO are communicating effectively, IT will finally be viewed in its proper light: as a value creator, not simply a cost consumer. « Security: "Journey to the Edge of the Perimeter"